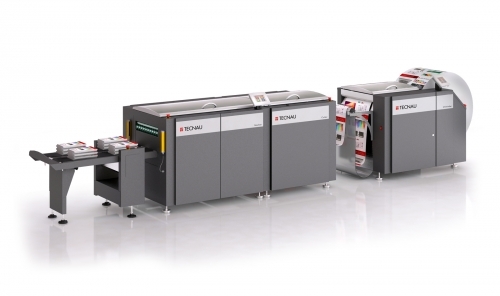 Experience the efficiency of rewinding printed rolls for post‑processing in any application, including direct mail, billing and statements, and even print on demand. 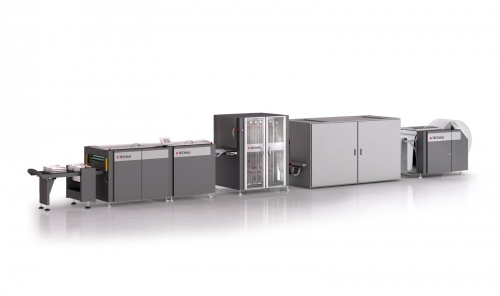 The Roll 9 solution is engineered to reliably operate with the broad spectrum of applications run by today’s fast digital color inkjet printers. 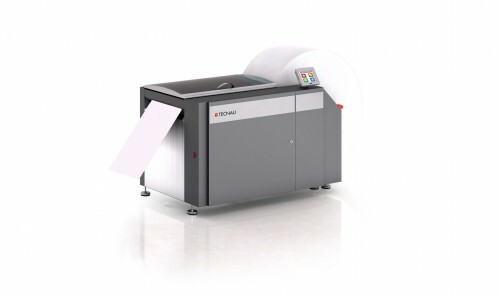 Featuring adjustable web tension control, Roll 9 accommodates the wide range of tensions required for varying paper specifications to be run by varying high-speed color inkjet printers. Center-shaft driven, this solution rewinds rolls at speeds up to 500 feet per minute (150 m/min), and is ideal for special applications such as labels. 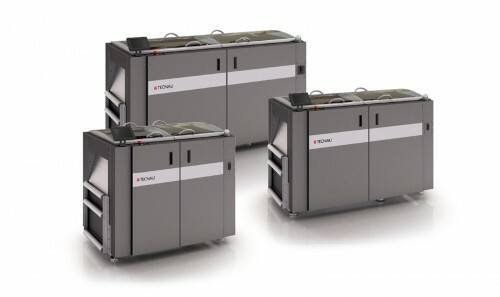 With proven reliability, operators can count on extended run times as well as minimal intervention. 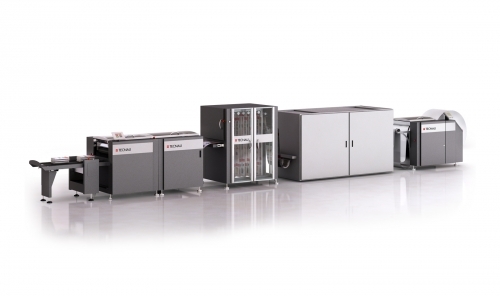 With hours of production between loading and unloading, there is no more efficient solution for handling digital printer output than the Roll 9. 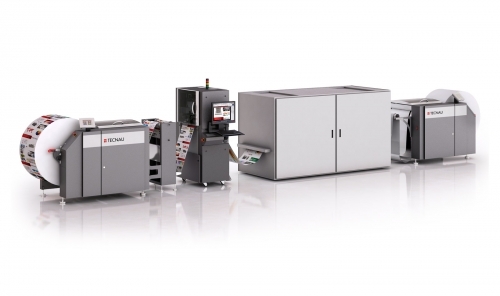 The Roll 9 solution features the Unwinder u9 and Rewinder r9 which include an internal loop control to produce high quality, tightly wound rolls for problem-free feeding of inserters or other finishing equipment. 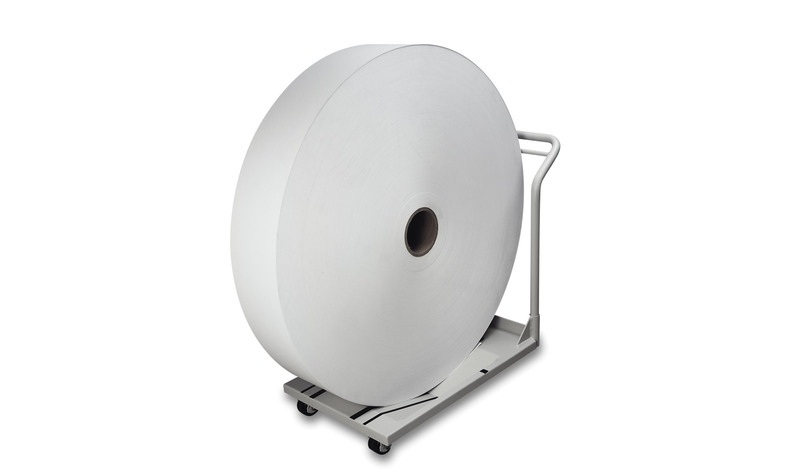 The center-shaft driven Unwinder u9 feeds a roll of paper up to 22” wide and 52” in diameter into the printer for continuous printing. 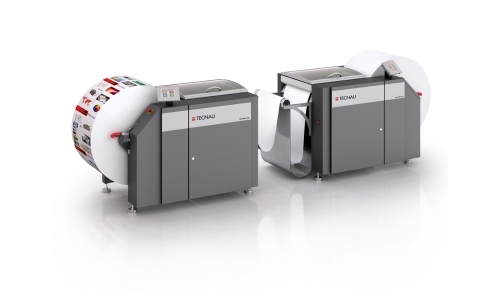 The Unwinder u9 features a highly accurate web control to provide the stable, regulated paper flow required for the newest digital color inkjet printers. 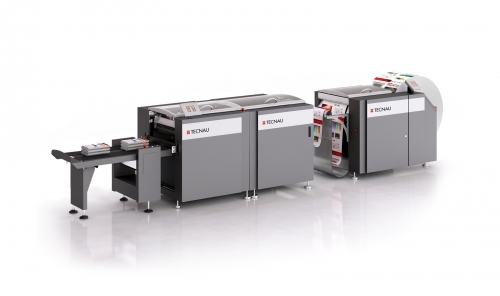 Once the paper is printed, the internal loop control acts as a buffer between the printer and Rewinder r9. 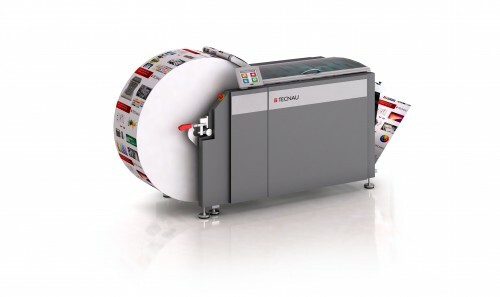 The Rewinder r9 then rewinds up to a 52” roll of paper at speeds up to 500 feet per minute. 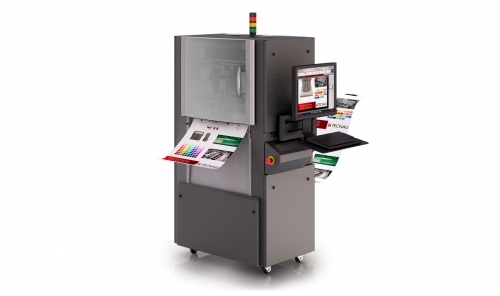 Standard features of the Rewinder r9 include an interactive touch screen display and compatibility with multiple core sizes. 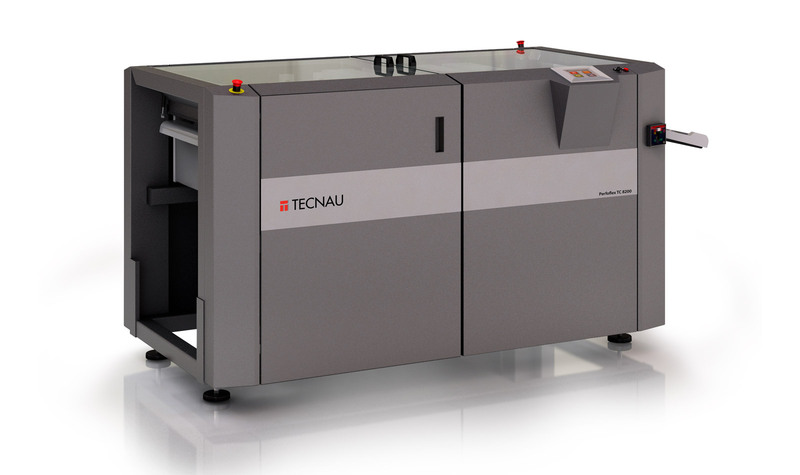 Options are also available for automated web guides and a center-slitting device. 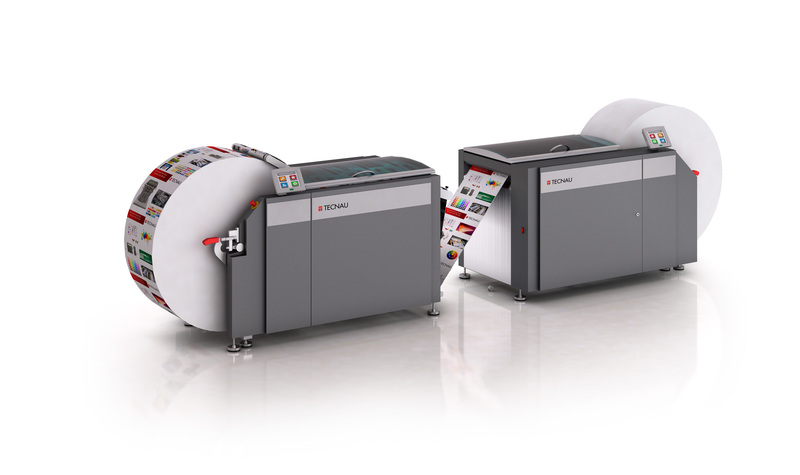 Once printed forms are rewound, they can then be transported to another Unwinder u9 to feed an inserter or offline cutter. Optional roll carts make roll handling, loading and unloading easy. 100 – 1320 mm ≈ 4" – 52"
Slit web in center and rewind two rolls together. For convenient transition from one roll to the next. 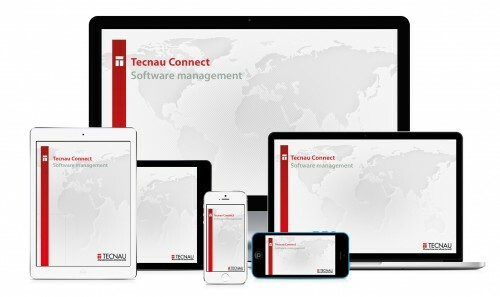 Capture large, high-resolution images of the entire web with no operator adjustments. WebVision verifies bar codes for readability, detects small image artifacts, and more. WebVision ONspect installs at the Rewinder r9 infeed to minimize footprint and your costs.